- a whole new ball game. RapidPro Sports is a manufacturer of high quality Sporting Good products including athletic training products, and hunting & fishing accessories. These unique products possess innovative design and features that separate good training and results from great training and the excellence that follows. Rapidprosports.com is your source for the Hot Foot Speed Trainer™, SportMobile™ equipment cart, Boss Outfitter Hunting Accessories and many more. RapidPro Sports was established in Longmont, Colorado to help young athletes to excel in their sports of choice. 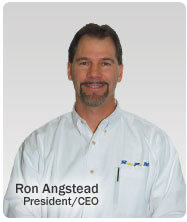 The founder of RapidPro Sports, Ron Angstead, is also the President/CEO of RapidPro Manufacturing Corporation, a product design and manufacturing company located in Longmont since 1994. Ron has coached competitive youth sports for years and has created a network of coaches and athletes from the youngest organized leagues all the way up through high school, college and even the pros. Feed back and testing has been ongoing for the past several years to develop and launch these great new products. RapidPro will continue to develop and launch great new products for years to come in Baseball, Football, Basketball, Soccer, Hunting and Fishing and many more. Our passion is to create products that will speed the training and reduce the learning curve for young athletes to quickly become much more skilled and competitive in the sports they love. As young athletes we want to achieve our own highest level. As Coaches, we want to bring out the best athlete in every player. These products help to provide the answer.